The Table Top Sale on 21st February proved to be another popular and well attended meeting. The tables were well populated with items for sale, including antennas, linear amplifiers, hf and vhf transceivers, computers and test gear – plus lots of bits and pieces such as components, cables, tools and mast hardware. Something for everyone perhaps! Some sellers were content but others reported that trade was disappointing. However that’s how it goes! Your reporter has often taken stuff to several rallies in succession without out any interest being shown in the kit, but then at the next one it sells easily! We were pleased to welcome to their first meeting – Dom M7PKW and Shaun M6OII. We look forward to seeing them again soon. The new venue again proved its worth, being comfortable with good acoustics. The next meeting is the Constructors’ Exhibition on Thursday 21st March at the same venue, the Robin’s Nest, Cheltenham Football Club. Thursday 21st February at the Robin’s Nest, Cheltenham Football Club, Whaddon Road, GL52 5NA. Doors open at 7.30 for a nominal 8pm start. Buyers – come with well loaded wallets and have some fun buying items you didn’t know you wanted! 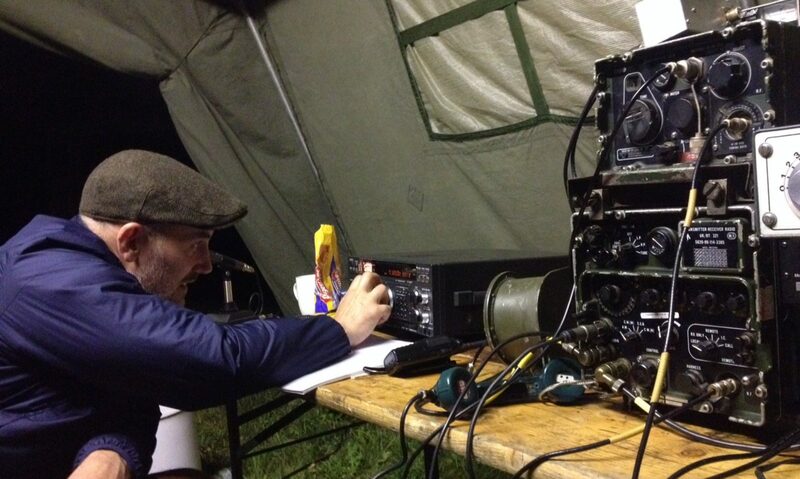 Michael G3PCL has kindly agreed to tell us about Baluns, devices which connect unbalanced coax to a balanced antenna. Different types of Baluns are discussed together with circuit diagrams and constructional details. Suggestions are made as to which Balun type to use with a particular balanced / unbalanced antenna. There will be lists of suitable components to use to make your own Balun and several home made Baluns will be on display. 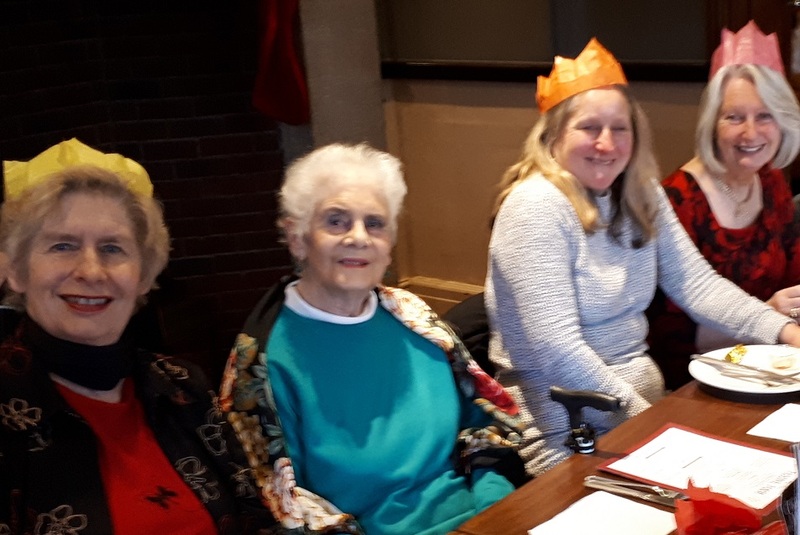 The CARA’s 42nd AGM took place on Thursday 13th December 2018 with 32 members present. Tony G3YYH, Chair, reported a successful year highlighting many notable events including two enjoyable Fun Field Days, Foundation and Intermediate courses with high pass rates, a fascinating visit to Ben Nock’s Military Wireless Museum and a good display of home-built equipment at our annual Constructors’ Exhibition. 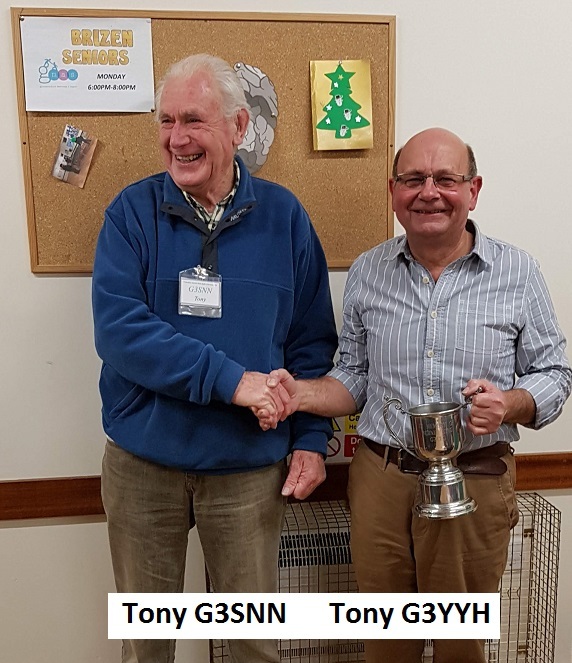 The Bernard King Memorial Cup awarded for noteworthy and praiseworthy on-the-air activities was presented to Tony G3SNN for his superb DXCC scores achieved over many years of sustained effort. 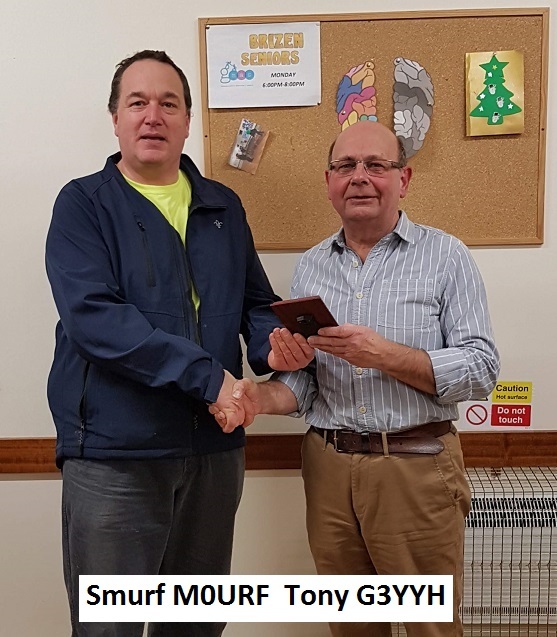 The John Holt G3GWW Award for exceptional work for the club went to Smurf M0URF for his outstanding contributions to Fun Field Days. The Treasurer, given the healthy state of the Association’s finance, proposed that the annual subscription remain at £13. Approved unanimously. The Committee for the year 2019 was elected. Chair – Tony G3YYH, Secretary – Derek G3NKS, Treasurer – Peter G3YJE, ordinary committee members – Andrew M0MVA, Alan M0NRO, Christopher M0YNG. Accounts Examiner – Tony G3SNN. Any Other Business. Tim G8PZD queried whether a decision had been made regarding the move to a better venue for our monthly meetings. Two venues were contenders, one tried in November and one suggested at the meeting. The Chair asked that, following further investigations, the Committee be allowed to make the final decision regarding the move – this was agreed. 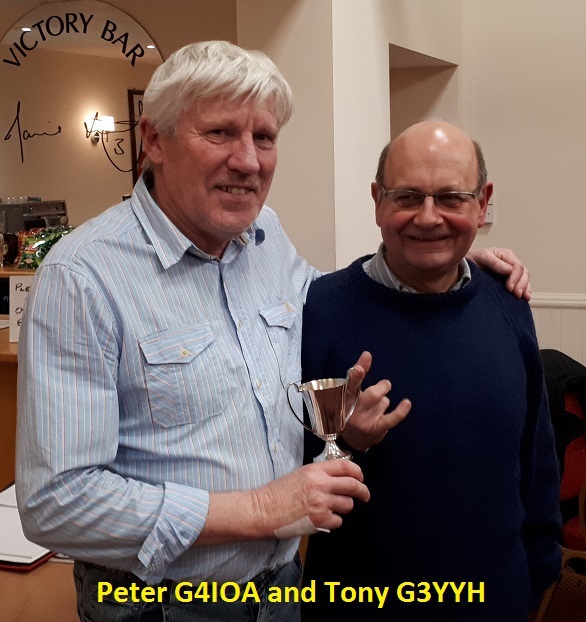 Tony G3SNN proposed a vote of thanks to the 2018 Committee for their good work and to the Editor, Christopher M0YNG, for producing such excellent newsletters every month. Following closure of the formal meeting members enjoyed a light finger buffet and lots of chat.